Now, transfer AED 2,500 or more and win an iPhone XR every month! Login to Online Banking now to start transferring today. Not an Emirates NBD Customer? Start your relationship with us today to enjoy free transfers with DirectRemit and much more. 60 second transfer to HDFC Bank,ICICI Bank & SBI Accounts. 60 minute transfer to any other bank in India. Available 24/7, you can now use this service to transfer funds to an HDFC Bank account in India within 60 seconds and to any other bank account in India within 60 minutes*. To avail this service through ATMs, you first need to add the beneficiary by logging on to your Mobile Banking App or Online Banking. We are pleased to be the first bank in the region to offer this service and will soon introduce DirectRemit through ATMs to other countries as well. 60 second transfer to Hatton National Bank (HNB ) accounts. Transfers to any other bank account in Sri Lanka within 60 minutes. 60 second transfer to Emirates NBD Egypt accounts in EGP. Transfer to any other bank account in Egypt using online International transfer option within 1 working day. Free transfers with no remittance fees. DirectRemit service to Emirates NBD Egypt account is available 24x7. Transfer to other bank accounts in Egypt can be requested via regular SWIFT – International transfer option and processed within 1 working day, for requests received between Saturday – Thursday up to 2:00 p.m. (UAE time). All requests received for transfers to Emirates NBD bank account in Egypt, credit will be processed within 60 seconds subject to details being in order. Credit to other bank accounts in Egypt are processed via regular SWIFT International transfer option within 1 working day. Transfer AED 2,500 or more using DirectRemit and get a chance to win an iPhone XR every month. What’s more, 5 lucky winners will receive an AED 500 online shopping voucher every week. Offer valid until May 31st 2019.
with the Best Retail Bank in the Middle East* and get rewarded. *The Asian Banker Excellence in Retail Financial Services International Awards 2018. It is an innovative remittance service provided by Emirates NBD which allows customers to do instant money transfers to their home country for free. Clients could initiate the DirectRemit transaction via Online Banking, Mobile Banking and select ATMs*. *Note: Direct Remit service at ATM available 24/7, you can now use this service to transfer funds to an HDFC Bank account in India within 60 seconds and to any other bank account in India within 60 minutes. Can clients do a DirectRemit transfer to any country? Currently DirectRemit option is available for India, Philippines, Pakistan, Sri Lanka, Egypt and United Kingdom. No. Clients can do unlimited number of DirectRemit transactions for free. What is the minimum amount which customers can transfer via DirectRemit? An equivalent of AED 100 in their respective home currency. In which currency the amount should be entered? Customers should enter the amount in remittance CCY (INR, PHP, PKR, LKR, EGP and GBP). Applicable exchange rate is displayed on the transfer screens before initiating the transaction. Can customers send other than the home country currency? No. Clients can remit only in their home currency. Which segments can use DirectRemit Option? DirectRemit remitting facility is available for individuals only from Personal Banking, Priority Banking and Private Banking segments. Do customers need to add the beneficiary in the frequent beneficiary list before initiating the transaction? No. It is optional but, it would help them to save their frequent beneficiary details for future transfers. What is the maximum remitting amount which customers can send via DirectRemit? Maximum remitting amount for DirectRemit to Philippines is PHP 500,000 across segments. Maximum remitting amount for DirectRemit to Pakistan is PKR 500,000 across segments. Maximum remitting amount for DirectRemit to Sri Lanka is LKR 1,000,000 across segments. Maximum remitting amount for DirectRemit to United Kingdom is GBP 200,000 per transfer. What are all the available currencies which customers can remit using DirectRemit option? PHP for DirectRemit to Philippines. PKR for DirectRemit to Pakistan. LKR for DirectRemit to Srilanka. EGP for DirectRemit to Egypt. GBP for DirectRemit to United Kingdom. What is the processing time for DirectRemit transfers? All requests received for transfers to HDFC Bank account between 7:30am - 7:30pm, Sunday to Saturday, ICICI Bank & State Bank of India (SBI) account between 7:30am to 7:30pm UAE time Sunday - Saturday, credit will be processed within 60 seconds, subject to availability of funds and accuracy of details. Transfers to all other Indian Banks will be processed within 60 minutes if received during Reserve Bank of India NEFT Timings: between Monday - Friday and working Saturday’s 07:30am to 5:00pm UAE time. Note: 2nd and 4th Saturdays of each month are bank holidays in India. Transfers to BDO Bank will be credited instantly within 60 seconds if it is done between 6:00 AM to 10:00 PM (UAE time) Sunday - Saturday. For other PHP Bank transfers it will be credited within 1 working day. Transfers to Faysal Bank will be credited instantly within 60 seconds if it is done between 6:00 AM to 10:00 PM (UAE time) Sunday - Saturday. For other Pakistan Bank transfers done between 6:00 AM to 10:00 PM, Sunday to Saturday funds will be credited the same day. Transfer to Emirates NBD Egypt Bank account will be credited within 60 seconds and the service is available 24x7. 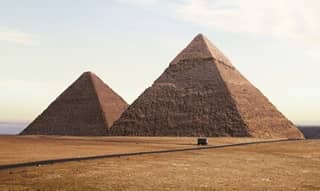 Transfers to other banks in Egypt can be requested via regular SWIFT -International transfer option and processed within 1 working day, for requests received up to 2:00 pm UAE time Saturday - Thursday. Transfers to Lloyds Bank UK account (Monday-Friday) between 10:00 am to 4:00 pm UAE time, credit will be processed within 60 seconds. Transfers to all other bank accounts in the United Kingdom will be processed within 60 minutes if received during above mentioned time and subject to accuracy of details. Transfer requests received post the above mentioned time will be processed the next working day at applicable rates during the time of processing. Beneficiary IBAN is mandatory for DirectRemit to UK transfers. Can the customer initiate DirectRemit transaction as a standing order? Yes. Customer can set DirectRemit transfers as Standing Instruction and segment charges will be applicable. (Please refer the Schedule of Charges for each segment). Standing Instruction is presently unavailable for DirectRemit to Srilanka & United Kingdom. Why do some customers get the below pop-up message while initiating DirectRemit transfers? "We are unable to process your DirectRemit transfer. You can continue processing your request via regular international transfers". Due to internal bank policy, some customers may not be able to transfer using DirectRemit option as the bank may require additional details for processing the same; hence this would need to be processed using Emirates NBD international transfer service. What will happen if customers click Ok, once they get the above message? Transaction will be converted from DirectRemit to normal Swift transfer and TAT for processing the international TTs via SWIFT shall be applicable. Are there any charges for DirectRemit transactions which get converted to Swift? No. All DirectRemit transactions which have been converted to normal swift transfers (TT) will be processed free of charges (correspondent bank charges if any may apply). Is it mandatory to choose the purpose of payment for initiating a transaction? Yes. Customers should choose the purpose of payment for any DirectRemit transfer. 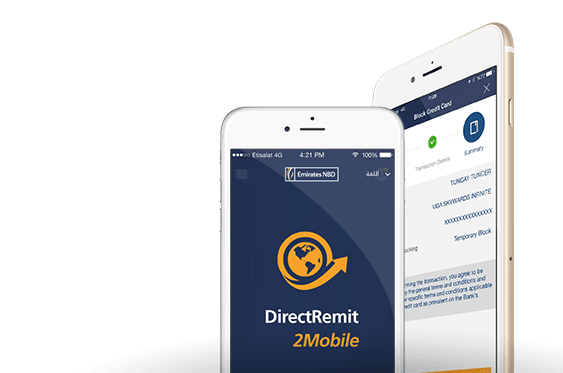 What purpose of payments are available for DirectRemit to Philippines, Pakistan, Sri Lanka, Egypt, India and United Kingdom? Payment for investments in shares, debentures etc. Can customers open accounts with partner banks? Yes. Customers can request for opening an HDFC Bank, ICICI Bank and NRE Egypt account online by visiting Emirates NBD website page under NR packages. Currently this option is unavailable with partner bank accounts for Philippines, Pakistan, Srilanka and United Kingdom. Can customers cancel or amend a DirectRemit request? No. DirectRemit transactions cannot be cancelled or amended once processed since these are STP (straight-through-process) transactions which are sent instantly to our partner bank in respective country. What is the reversal process, in case of rejected transaction due to incorrect details provided by the customer or remitter? Reversals of rejected and unsuccessful transfers shall be posted to customer's account within 3 - 5 working days (Excluding UAE & Beneficiary country public holidays) and Customer Buy (CUB) rates shall be applicable. Customers are liable to bear the exchange loss should there be any, for providing incorrect beneficiary details. What if the funds are not credited within the specified time to my beneficiary account? If your transfer was done during the DirectRemit service working hours and due to technical reasons the credit to your beneficiary account has been delayed. We would like to assure you that your Remittance shall be processed as soon as possible & funds will be credited to your beneficiary account subject to accuracy of details. If your transfer was done after the cut off time, the transferred amount will be credited to your beneficiary account on the next working day. In either case, if the funds are not credited by the next working day, please contact our Call Center on 600540000 for further assistance.